On April 8th, Microsoft officially started forcing users to switch from Windows Live Messenger (formerly known as MSN Messenger) to Skype, which was acquired back in May 2011. With all that being said and done, we won’t forget the fun memories growing up with MSN since its inception back in 1999. Here are some of the more memorable aspects of the program. 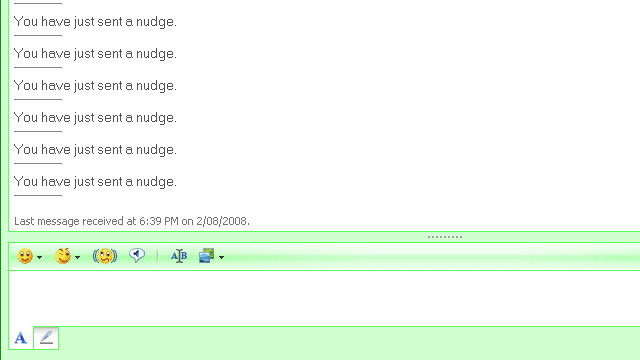 Back in 2005 when the nudge was first introduced, users could “shake” the chat window of the person they were IMing. Of course they added a time limit between each nudge so that users wouldn’t abuse the feature. In a world where we expect instant responses, friends would nudge me all the time to get me to respond to their messages, or would even start a conversation with a nudge, which is why I eventually permanently set my status to “Busy”. What a riveting and enjoyable conversation. 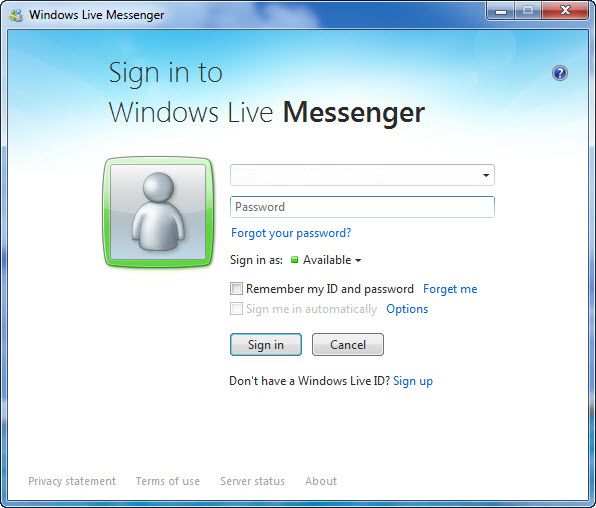 Whether it was to see if you were online or not (if you were hiding from someone or everyone), or just testing to see if your MSN connection worked properly, most of us have added ourselves to our own list. It’s a feature that was never available on Skype. 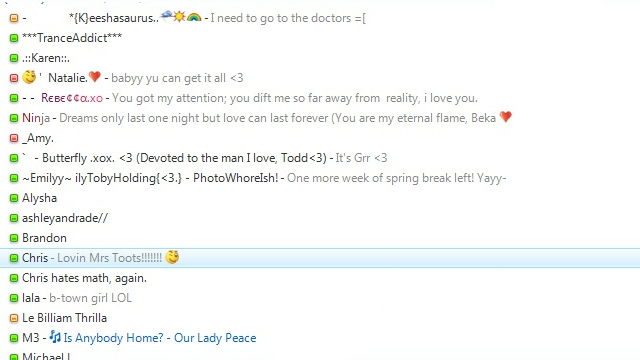 What’s MSN without custom emoticons? 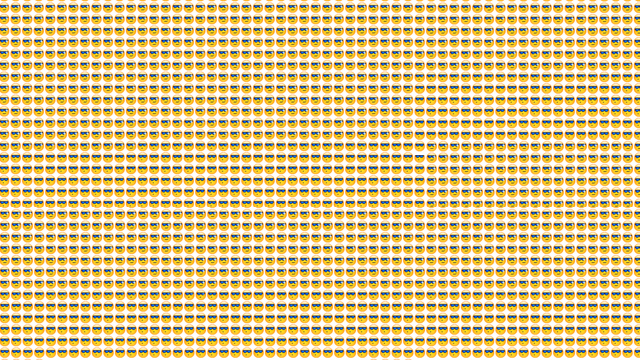 Uploading your own icons usually meant getting something that was shaped into a 20×20 emote, but animated icons stretched all the way to 50×50 pixels in size. While they may not have been a big thing among the guy guys, girls could never have enough of them. What sucked the worst was losing all your emotes should you ever have to reformat your PC. What’s more fun/annoying that getting thrown into a completely random conversation with a group of strangers? I remember getting thrown into random chats where we made fun of random strangers, or just pretending to not know what happened. Imagine inviting your school friends, relatives, and random strangers all mixed into one awkward chat… and then leaving… awesome times. Being an early teenager meant having a name jam-packed with special characters that spelt out your name. Unless you were a much older person (late teens or early 20s), having a plain-text name was unheard of. Better get accustomed to use Charmap. Display names were also used to post song lyrics, to secretly confess our love for someone else, or to openly let everyone know who we were partnered up with. You’ve just turned 15 years old and recently met a really nice guy or girl at school. You landed their MSN email address but don’t want to be the one always doing the talking. Instead of striking up a conversation, you constantly switch between Online to Offline mode, hoping they see you sign in via the pop up window and start chatting with you. 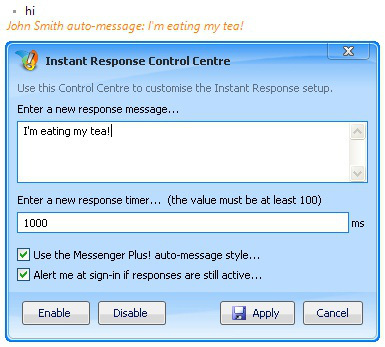 I think we are all guilty of doing this at least once in our MSN history. While some of us may have been experts at the game of teenage romance, others resorted to cheesier ways of picking up guys or girls via MSN because communicating online meant that people would be less afraid of saying what they had to say. Maybe they weren’t sure how their crush felt about them, so they would test the water with lines like these. Guy: Oops, wrong window. Sorry. Maybe that was too much? How about just getting there attention? Girl: Oh sorry, wrong convo…but how are you?! What about dealing with rejection? Guy: Hey, I really like you. Wanna go out some time? Guy: Oh sorry, was meant for my friend. Sorry about that. Better keep your speakers on low because if someone sent you one of these, they’d make quite a lot of noise while they overtake your screen. Gotta admit, some of them looked pretty funny. With the evolution of broadband DSL and Cable, we could now leave our messenger running on a 24/7 basis, but how would we deal with those who message us while we’re not at the PC? With MSNPlus of course. Now we could easily set an automatic reply that would be posted in response to anyone who messaged us. 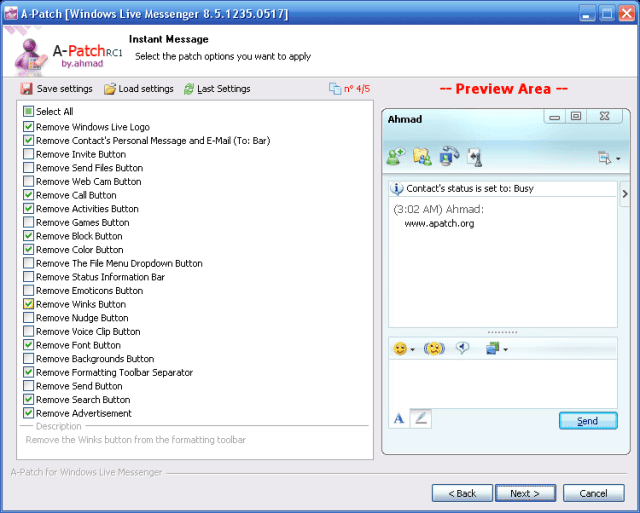 Without a doubt, this was one of the best add-ons for MSN because it allowed you to get rid off advertisements, as well as a number of annoying features. They even allowed you to disable the nudge limit, allowing you to annoy the hell out of your friends. Back in the days when Celeron and P2 processors were still all the rage, sending a barrage of smileys was an easy way to freeze our friends’ computers for some seconds to even minutes. 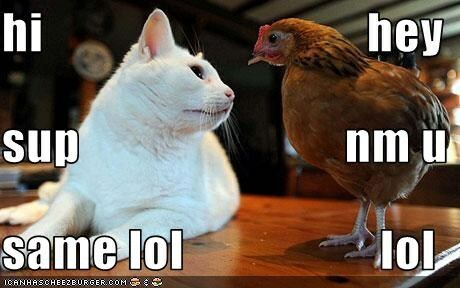 Angry with your friend? Why not kill his computer with friendly smiles? Of course this became ineffective after P3, P4, and dual core processors became more popular. 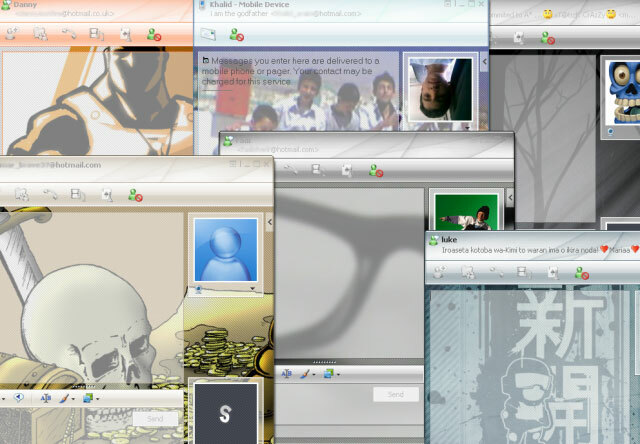 Customizing your background image was also a cool feature, and MSN (unlike MySpace) did it right because they applied different transparency filters, so even if you chose the most repulsive or eye-catching image, it was still toned down to give a more subtle appearance. Originally from gossipnetwork.wordpress.com who probably stole it from mitsueki.wordpress.com or perhaps vice versa.